WordPress is a phenomenon when it comes to seeing progress of how professional web designers and developers create. There are the old schoolers who code every line of a website – good for them. Frankly, I just don’t get the time commitment in that anymore. If a developer is taking extremely backend heavy projects I get it, but most web developers and designers create websites for marketing purposes. WordPress has helped evolve the industry, and then continued evolving to the industries standards. 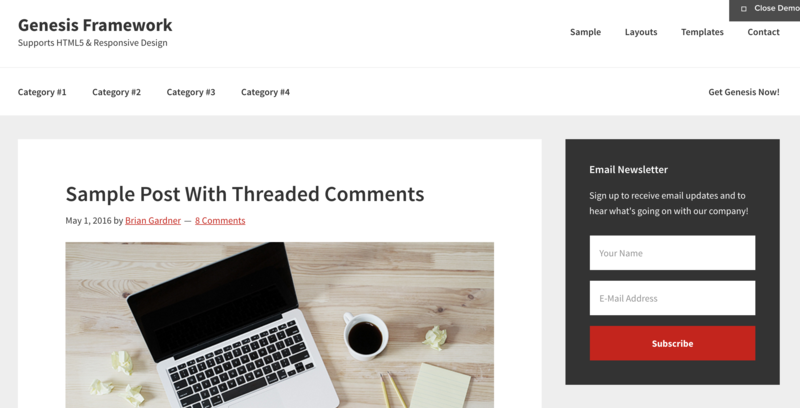 A lot of blogs talking about the top WordPress themes will give you anywhere from 10 to 60 examples, or maybe even more. Usually if it’s 10, it’s the “10 Best Ecommerce Themes” or something like that. I don’t feel like it’s necessary. I can give you 5 awesome themes. Are there other amazing themes out there? Surely. However, a couple of these themes can be whatever you want them to be. It takes commitment creating websites. This website was made in Divi. My company’s website was made in Divi. Just about all of my client’s websites are made in Divi. They don’t all look the same though, how? Certain WordPress themes have done away with plugging in a different image here, and put some text there. Elegant Themes created Divi to cater to developers who realize that creating custom themes all the time (which a lot of agencies do) is a huge time commitment, increases the cost of projects for clients, and ultimately makes everything flow less smoothly. I’m not saying never (double negative, what are you gonna do about it) creating a custom theme is the right answer because there is a time and place for that. Divi however gives you the tools to succeed without creating custom themes. It’s a framework. Divi comes with well over 30 modules to put all different sorts of content such as text, videos, toggle (think FAQ), portfolios, and more. I could write Divi its own article, and I probably will at some point, but that’s not the point of today. Divi is my favorite framework out there when it comes to premium WordPress themes, and you can purchase it here! Genesis is a popular Framework. I know quite a few people who use it and love it more than anything. That’s why I list it at number two. This list is subjective. I prefer Divi, others prefer Genesis, and someone else might love something else. The best part about the free market is we get to choose. Genesis is fully responsive as is Divi. The framework allows you to customize columns and modules as well. It’s just more or less what you prefer. Don’t be afraid to try out both. You can get Genesis here! 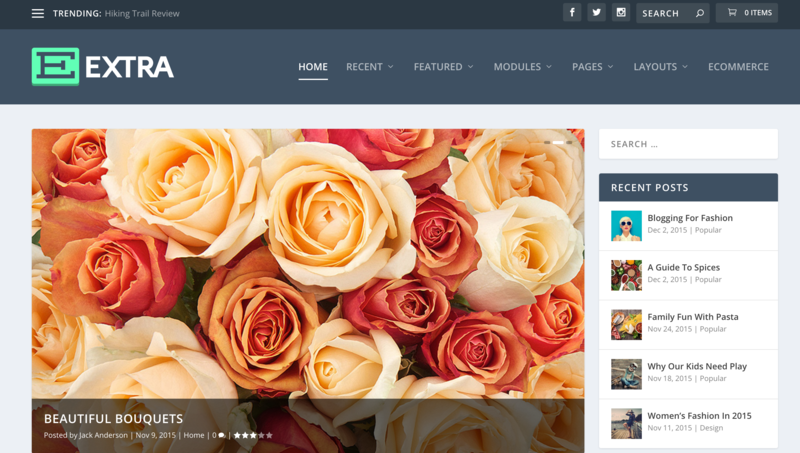 Extra is also made by Elegant Themes and uses the Divi Builder. However, Extra is geared towards news and press websites. It provides more layouts geared towards the constant flow of news. Extra is one of the more ambitious projects that Elegant Themes has attempted, but I have used the theme once before and I did enjoy it. There are just certain things Divi can’t do in terms of layout without a lot of custom coding that Extra tackles when it comes to Blogs. The awesome part is you can still build pages however you want to by using the Divi Builder! You can get Extra here! Storefront is the Ecommerce way to go, especially if you’re just starting out. If you’re doing anything Ecommerce on WordPress, it makes sense to use WooCommerce because its been there and done that successfully time and time again. WooCommerce has many integrations to help your store’s sales funnel be seamless and enjoyable to use. Storefront was created by WooThemes which are the same makers as WooCommerce. If you go this route you know the support will be there and everything runs seamlessly. 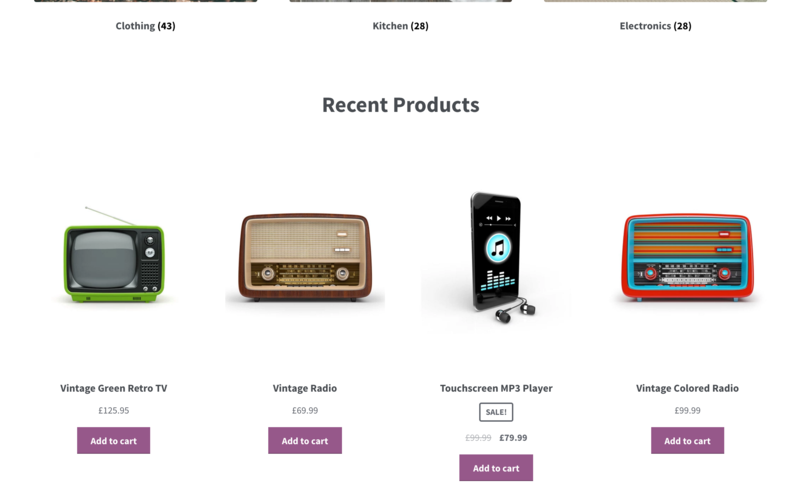 There’s a reason it’s called “The Official WooCommerce Theme.” Check it out here! Uncode is something I’ve just come across recently, but I like it. It’s ambitious and helps out the DIY (do it yourselfers) peeps. A lot of businesses don’t have the budget for a website right away, but they can afford something like this as a placeholder. Uncode has a decent amount of concepts which then you can drag and drop the right picture you want to use or text you want. The colors look great and it’s optimized for mobile. There’s already so many concepts available there is something for every business. It’s a great way to get off the ground running. It’s inexpensive ($59.00) to get your hands on a license. These are five high quality premium WordPress themes, and whether you’re a digital agency, freelancer, or DIY business owner there is something here. Please, please, please, if you are a DIY keep putting money aside each month to hire a professional website designer. There are multiple reasons why you should do this. The best DIY theme is Uncode. 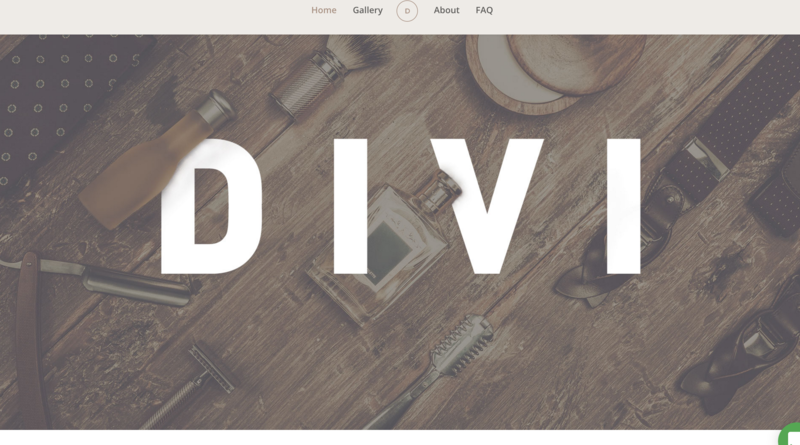 If you’re more of a freelancer check out Divi, Genesis, and Extra. If you’re never worked in Ecommerce before but you are now, make sure you see what Storefront has to offer. If you’re the new business on the block, Uncode may be for you! Best of luck in all your web design ventures.